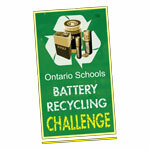 Ontario Schools Battery Recycling Challenge Wraps up April 19th! 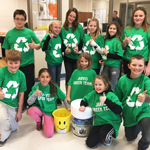 This is it, there are only a few short weeks left before April 19th, 2019 (Friday before Earth Day) which marks the last day of the Ontario Schools Battery Recycling Challenge! 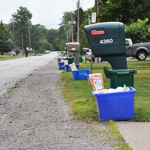 OSBRC Top Five Campaign Ideas! 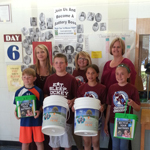 Over the years, we’ve seen some great campaign ideas from OSBRC schools. 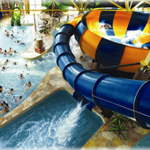 In this article we share some of our favourites! In no particular order, here are our Top 5 Campaign Ideas so far! Congratulations Violet of Port Rowan - First Battery Boss of the Year! It wasn’t even the end of the very first day before Violet of Port Rowan Public School completed her fifth mission to become the first Battery Boss of the Challenge! 5th Annual OSBRC Starts Today! 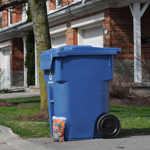 It’s the first day of Waste Reduction Week in Canada, and the start of the 5th Annual Ontario Schools Battery Recycling Challenge! Last Day of the OSBRC! It’s that time of year again. At 5:00 p.m. today, we locked the OSBRC Leaderboard to mark the end of this year’s Challenge! 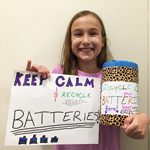 Recycle Those Batteries! OSBRC Finish Line is in Sight! 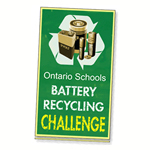 There are only two weeks left to recycle batteries for the Ontario Schools Battery Recycling Challenge. 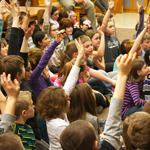 We have some exciting announcements to share in our latest blog post.